I often enjoy customizing recipes to make them my own and to better suit my families taste. (Or just what I happen to have on hand at any given moment.) But sometimes you just come across a recipe that is so perfect in its simplicity and flavors that there really is nothing you would change. 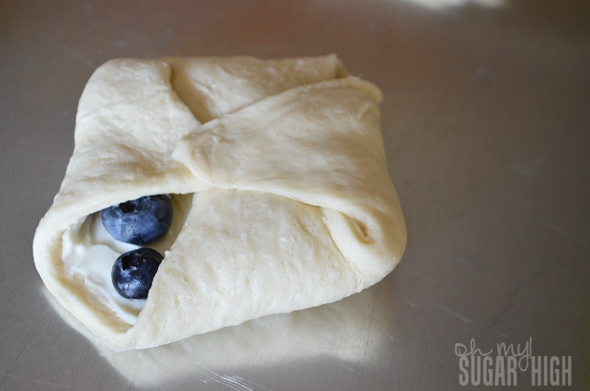 That is exactly how I feel about this Blueberry Cheese Rolls recipe from Kraft. With only four ingredients, it is easy to whip up these scrumptious little packages of cream cheese goodness. 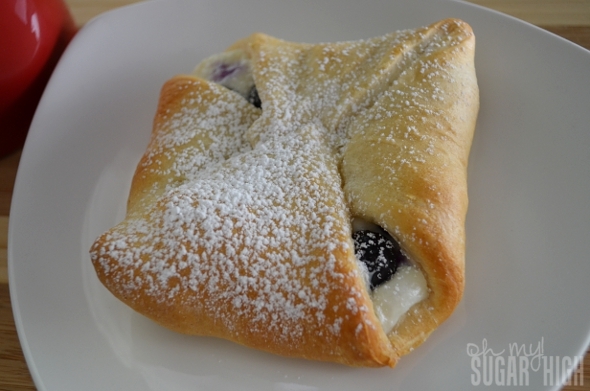 While you can use regular crescent rolls, I highly recommend using the seamless sheets to make it even easier to form and create a nicer presentation! Preheat oven to 375ºF. 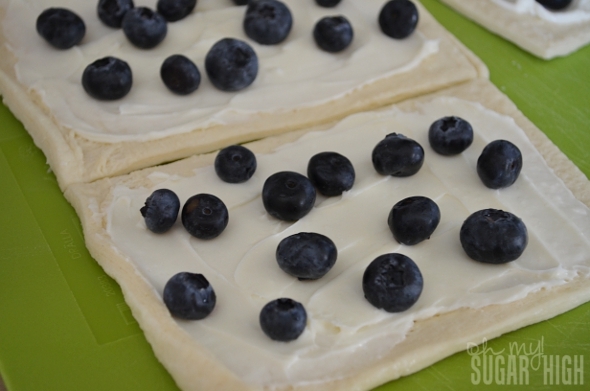 Unroll dough and cut into four rectangles if using seamless sheets. Otherwise, firmly press perforations together to create a tight seal.. Mix cream cheese and sugar. Gently spread onto rectangles, leaving 1/2 inch around the edge. Sprinkle tops evenly with blueberries. Bake for 11 to 13 min. or until golden brown. Be sure to let them get a darker golden brown but not burnt to be sure they are cooked all the way through. Enjoy while wishing you could justify eating two! « Chocolate Marshmallow Dip – Easy S’mores Anyone? it looks great. thank you for sharing. 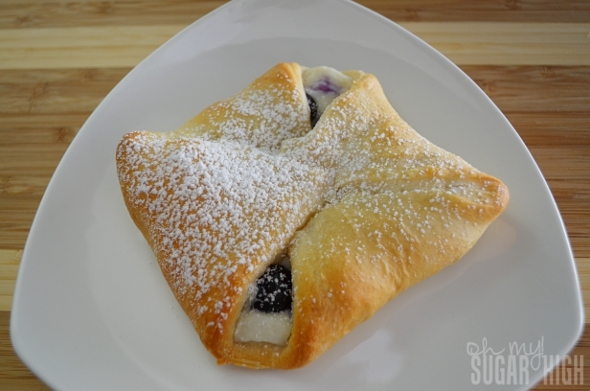 Have you ever compared the taste to making your own dough for the pastry? 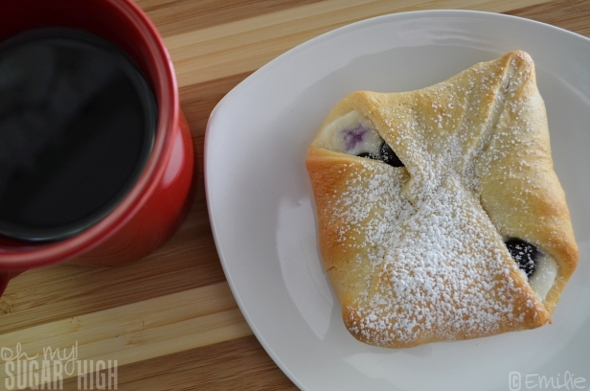 I love blueberries – great, and simple!